BUG Termite & Pest Control Co. in Venice, FL is your trusted pest control solution. 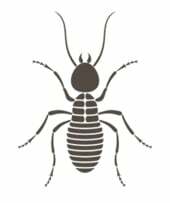 BUG Termite & Pest Control Co. in Venice, FL is your personalized pest control solution. We treat homes and business utilizing top quality products paired with over 50 years of precise expert knowledge in pest control. We always continue and update our education and we give a second opinion at no cost. Whether you need emergency services at your residence or once-a-year flea control at your commercial property, we have you covered. Commercial and residential services offered for general household pests, including ants, roaches, silverfish, stored-product pests and more. We offer customized plans, from single-visit solutions to multi-visit service schedules, including the KM AntPro System. We have a wide variety of options for commercial and residential termite prevention, control and remedial treatment. We have annual inspections for renewals, soil treatment, per-construction borate treatment for new and existing homes or additions and termite bait systems. We also offer tent fumigation for complete drywood termite control and other fumigation needs. Termite home inspections can be done for both personal home checks and real estate inspections. Rodents, possums, bats and other wildlife require trapping and exclusion from the building or home. We will identify and seal all entry points. We offer lawn services for lawn-invading pests (including fire ants), ornamental, fertilization and disease control. We can customize a plan to fit your needs that includes just one or all of our services, from a single application to a regularly scheduled service. We offer a mosquito management service for a single service or a regularly scheduled service. We also spray for special events. Every infestation of bed bugs, fleas, ticks and more is different. We will develop a plan to address your specific needs. Bees can be a very beneficial insect. But when cross breeding between colonies occurs and a hive appears around your home a detailed inspection is needed. This is to ensure the benefits of a balanced environment and natural pollination for commercial and backyard botanical. Call today for detailed information about our services and pricing. We also offer The KM AntPro System. Copyright © 2016 BUG Termite & Pest Control Co. All rights reserved.